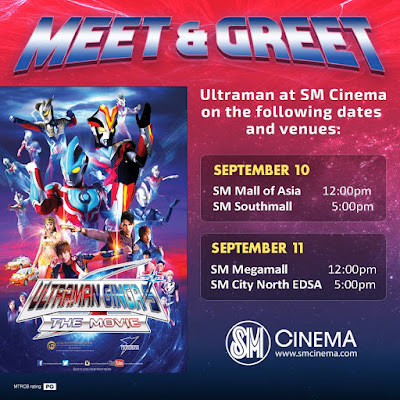 SM Cinema has updated us that Ultraman Ginga's lead actor, Takuya Negishi will not be appearing in the meet and greet event but instead, the official licensed Ultraman Ginga stunt suit will be the one that will appear in the event coming this weekend, September 10-11 at select SM cinemas. The SM Cinema management humbly apologizes for the confusion. Still, we have Ultraman Ginga and that's awesome.